Come laugh with us! 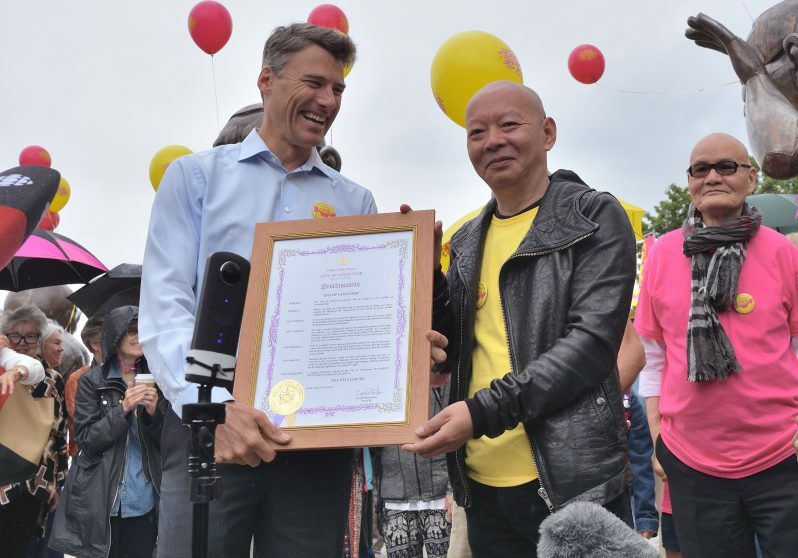 Starting 10:00 AM on Thursday July 13th at Morton Park, Mayor Gregor Robertson will proclaim the official DAY OF LAUGHTER in honour of visiting Chinese artist Yue Minjun. If you don’t recognize the name, you’ll certainly recognize his face because its featured prominently on the fourteen giant smiling bronze men that make up the most iconic public art installation in the city, A-maze-ing Laughter. 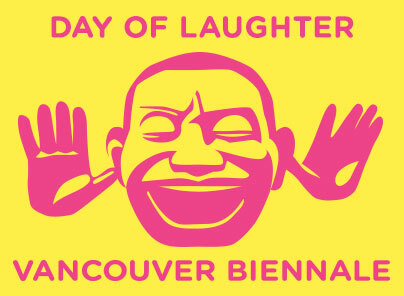 A-Maze-Ing Laughter was the only public artwork in Canada to ever be nominated for the “Great Places in Canada Contest” by the Canadian Institute of Planners. 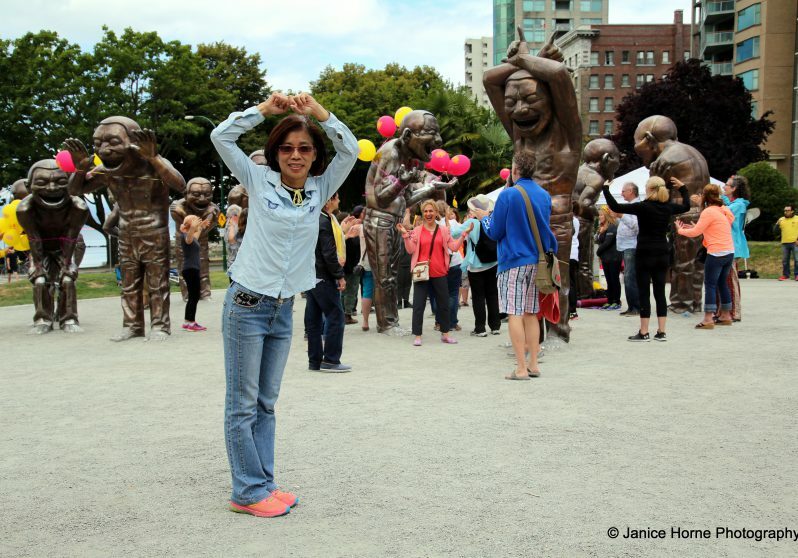 The sculpture also helped the West End win the 2015 “Great Place in Canada Great Neighbourhood” Award. 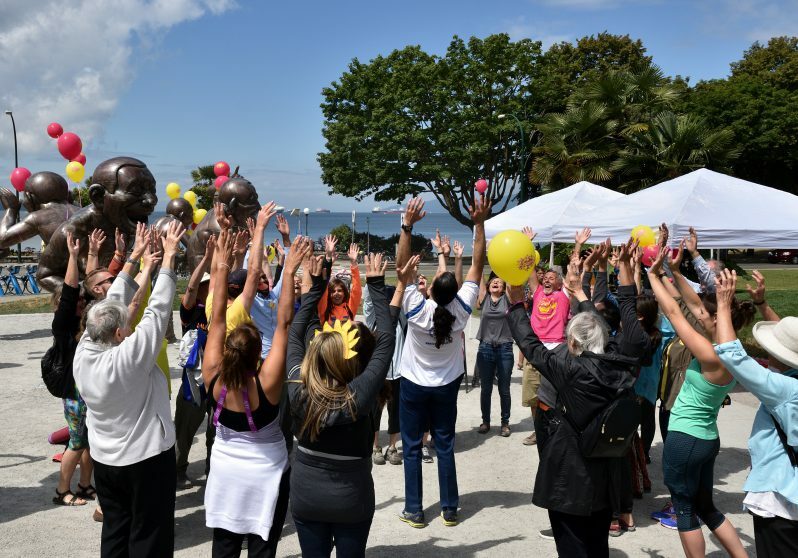 This free public event, which will include a noon-hour Laughing Yoga class, will celebrate this great work of public art by amplifying the message that happiness is a basic human right and laughter fundamental to our good health. 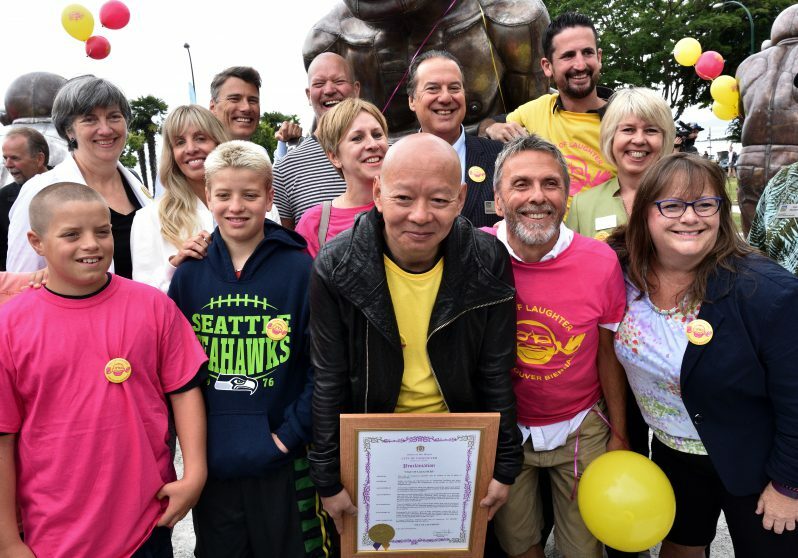 The Day of Laughter will mark Yue Minjun’s first time in Vancouver and first visit to his sculpture in situ at English Bay. Come see in person the smile that started it all. Throughout the day, we’d also like to share the laughter with people near and far. Strike a pose, take a silly photo, tell a joke, let us know what makes you laugh and why it’s important to you. Share with friends and family via social media. Tag us and we’ll share it too!